Best ELSS Mutual Fund to invest in 2019, Benefits, Reasons to Invest & How do ELSS mutual fund work? Greetings Investors! Today, our hot topic of contention would be ELSS- Tax saving mutual fund. In this post, you will get to know the detailed theory about ELSS mutual fund; significance, best mutual fund, a reason to invest in best mutual funds and how do tax mutual fund work? With the completion of every decade, dearness has always shown an above scaling graph as a result of which this 21st century has become or becoming very costly to incur the cost of every purpose living. Health treatment cost, education cost, survival cost, long-term goals cost like marriage etc. They all have become a headache for nearly every individual in India. Every individual is bound to bear such costs of expenses and so he seeks ways to save the money in every possible manner and invest them to acquire additional more money on it in exchange return. TAX SAVING– this term holds such magnetism that eyes of every hearing individual bulged bigger. And why not? Who does not want to save various taxes? A rebate on taxes at only 5% on your income also gives a good advantage to you, thus adding enough money to your previous income. You can earn tax-free income via an investment channel and that investment is called the mutual fund channel. There are many schemes in the mutual fund horizon, where good returns are provided to investors without charging any taxes. One of the famous and attractive funds among them is ELSS. An Equity-linked saving scheme (ELSS) doesn’t only help you out in saving tax, but also Great Avenue to grow your money. Yes, it qualifies the tax exemptions under section 80C of the Indian income tax act. Now, you can exempt yourself from paying tax with ELSS. Isn’t that enticing? Have you heard the famous phrase that says don’t make investing difficult? ELSS is the safest option to invest. Let us dig into deep information pertaining to ELSS. This post is specifically designed for those investors who are obsessed with the best and want to invest in the best tax saving mutual fund. Let’s take a read further to unleash the information about ELSS tax-free mutual funds. ELSS full-form is Equity Linked Saving Schemes. All your investments are linked to an equity gateway, i.e. your invested money is invested into equity funds and then the returns you get in return for it are very attractive also and tax-free also. You can enjoy total tax-rebate facility via ELSS but it has certain obligations. You have to make a minimum investment from Rs 500. You can make the maximum investment up to Rs1.5lakh to get the rebate facility. There is a lock-in period of 3 years. You have to wait for 3 years to get your respective returns. There is a very attractive phenomenon associated with ELSS which surely encourages you to invest in it. Let’s understand this with the help of an example. Suppose you got a salary of Rs 2 lakh in hand a month. Now, you may have many options to use 2 lakhs. You can invest them all-together in some scheme. Or you will spend them in fulfilling your other personal objectives. When you did not choose to make investments, then it means that the government will charge some percentage amount of tax from 2 lakhs. Suppose, if you come under 15% tax in your tax table, then you will receive only Rs1,70,000. It means 30,000 have been deducted in the name of tax. Rs30000 means a lot. So is there any way to save 30,000Rs also. There is, and it is ELSS. Via ELSS, you can invest some money from your salary in ELSS, which will exempt you to bear any general taxes (up to some limit). Neither have you had to bear any tax on investment returns. You’ll simply enjoy the principal returns. In this way, you’ll be able to get the rebate from your general taxes on income and also you’ll be able to enjoy tax-free savings on investments, which is generally not found in PPFs and RDs. Every coin has two sides to understand this idiom better, let us bring light onto both advantages and disadvantages of ELSS tax saving mutual fund for you better knowledge. 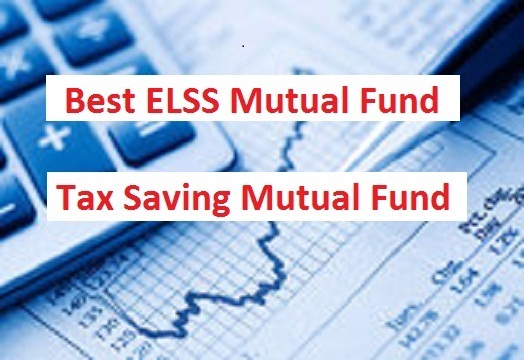 It is essential to evaluate both the pros and cons of the ELSS tax saving mutual fund. You are exempted to pay tax for investment amount up to Rs1.5 lakhs. You did not have to wait much longer to acquire your whole earned amount because ELSS has a lock-in period of only 3 years. If you want to enjoy risk-free and smooth flow of income every year, then you should do investments in SIPs. Just divide your money and invest them at different intervals in SIP plans of ELSS. The returns will be according to First-in and First out basis. It provides superior returns as compared to other investments like Fixed Deposit FDs, RDs, PPF, and NSC etc. You have the option to get the dividends of your invested money. It is up to you that whether you want to withdraw dividends monthly or you want to get them all in a lump sum after 3 years. As ELSS is linked to equity so you know this that although equity gives superior returns they are highly prone to market risks. That’s why the returns on equity are never guaranteed. You cannot invest more than 1.5 lakh in ELSS to enjoy the tax-rebates. You cannot withdraw money before completion of the lock-in period. There are many funds which provide ELSS facility but here we are providing you the names of only those funds which are performing well in the market. You can take help from the upcoming data facts to decide your mutual fund house and the fund name. The objective of Tata India Tax Savings Fund is the capital appreciation for a long-term and that too with total relief from taxes. The fund has generated 35.4% returns in the last 1 year and 17.5% annualized returns in the last 3 years. It has an AUM of Rs 29.06 crore. It has been ranked at the 1st position by the crisil since the last quarter. It means that this fund is performing well in managing its assets value, generating returns, and facing the risks in the market. This fund has no entry load; neither has it had any exit load. This fund has performed well as compared to the last quarter and steps a rank up from rank-2 to rank-1 as per the Crisil. The objective of this fund is to generate well-capital out of a diversified portfolio by investing in equity related schemes. There is no entry load and exit load as well. It has a quite good value of AUM Rs 623.28 crore. You can start to invest in this fund from a minimum amount of Rs500. In the last 1 year, the fund has generated 43.1% returns while in the last 5 years; it has generated annualized returns at 21.7%. The objective of the ABSL Tax Relief 96 fund is to generate long-term capital by diversifying the portfolio in equity, debt and money market securities. The ratio is 80%:20% respectively. It safeguards the interests of the investors by looking up their superior returns along with managing their regular and safe returns via debt securities. In the last year, it had generated 8% returns while in the last 5 years; it provided annualized returns at the rate of 11%. It has a quite good AUM which is Rs 4,539.51 crore. You can start to invest with Rs500 without bearing any entry loads. There is no exit load also. You may continue to stay invested in the Principal Tax Saving fund because it has maintained its rank over the last year. It is controlling the AUM of Rs51.41 crores. The objective of this fund is to build such a strong portfolio that it provides superior returns in the long-term. It provided an annualized return at 14.2% of the last 5 years. You can start to invest with Rs500 without bearing any entry loads. There is no exit load also. You can invest in this scheme because it has improved its performance from the last performance. The Crisil has moved it up a rank upwards from 3 to 1. It has AUM more than 500crores which is the indication of its good risk-bearing capacity. You can purchase the units of this fund at Rs 38.320. The main objective of this fund is to generate long-term capital by investing in equity and equity-related securities. Obviously, equity generates superior returns for the investors during booming market conditions. The AUM held by this fund is Rs 8,405.84 crores which are a quite high and good indicator of its risk-bearing and maintenance capacity. Last year, it generated returns at 38.4% while it provided an annualized return at 23.3% of the last 5 years. This fund has been ranked at the 3rd position by the Crisil. AUM of Rs1,378.86Crores in under it and from the last 5 years, it has provided an annualized return at the rate of 20.0. The investment objective of this fund is to generate long-term capital by investing in equity and equity-related securities. This fund has been ranked at a 1st position by the Crisil. AUM of Rs 479.08Crores in under it and from the last 5 years, it has provided an annualized return at the rate of 20.6%. The investment objective of this fund is to provide medium to long-term growth of capital along with income tax rebate. This fund has been ranked at the 3rd position by the Crisil. AUM of Rs 2,877.14 Crores in under it and from the last 5 years, it has provided an annualized return at the rate of 19.3%. The NAV at which you can purchase the units of Franklin funds is Rs547.797. This fund has been ranked at a 3rd position by the Crisil. AUM of Rs2, 877.14Crores in under it and from the last 5 years, it has provided an annualized return at the rate of 17.4%. The investment activities of ELSS are mostly like your habit of depositing some money at various banks. The purpose for depositing in separate banks is to achieve different interest rates of every bank and also to save your money at various places. In the same way, ELSS pools your investment altogether and divide them in an ideal ratio to invest them respectively in various different themes. The purpose of this logic is to save the individual investor from baring risk from one sector. In case, a sector face loss, then the returns from other successful sectors will compensate it. In this way, the wealth is accumulated. Take note that investments are always done in equity and equity-related securities. If you have a time horizon of 5 years, then you can think to invest in ELSS. If your income for every month is at least around 2 lakhs then you should definitely go for this option so that you can get tax-rebates on your income and you’ll be able to generate long-term capitals. You get superior returns via this plan i.e. more than 15% which is very rarely found in other investments. So, if you are planning to invest in “Best ELSS Tax-saving mutual fund“, do it right away! And risk comes from not knowing what you are doing. It is highly recommended to invest in a company you know and trust. Under section 80 c of the income tax act is the best option to be considered. Please tell us if you enjoyed while reading this article on best ELSS Tax saving mutual and if you did, then please like and subscribe us. Do tell us your opinion about the information given to you via this article. Leave your comments in the comment box. We’ll surely answer you.